The official season opener, the David Barmes Memorial Trophy, will take place on Saturday 16th April 2016 at Sportpark Deutweg, Winterthur. 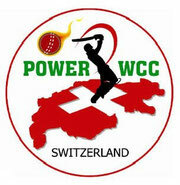 Traditionally the first game of the Swiss domestic season, Power Cricket Club (current league champions) have the honour of taking on a Swiss Representative XI made up predominatly of members of the Swiss National side. The late Dr. David Barmes of Geneva C.C. was the first President of the National Association and in honour of his memory Cricket Switzerland has established a tradition that the winners of the league championship play a 40 over cricket match against the Swiss national team to mark the beginning of the season and for the prestige of winning the David Barmes Memorial Trophy. Further information on this fixture is available direct from the National Team coach Chris Lodge.